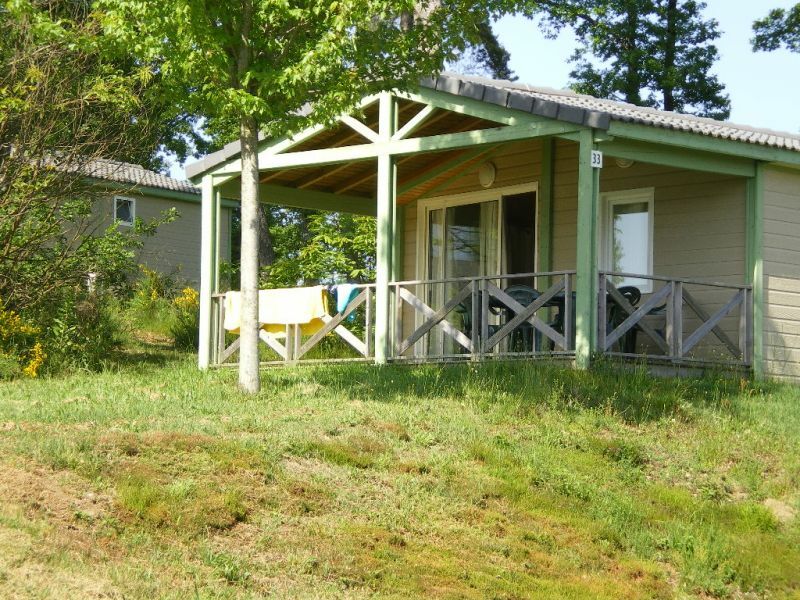 South of the Corrèze, in the valley of the Dordogne, a charming fully equipped cottage, with large covered terrace, waiting for you a pleasant holiday near the beautiful Lake Honey, who is among the few water bodies be labeled Blue Flag. At the intersection of the axes Brive La Gaillarde / Argentat and Tulle / Beaulieu on the Dordogne, you can fully enjoy the pleasures Corréziens (gastronomy, hiking, visiting the most beautiful villages in France, ...). The chalet is located in the residential park Honey Hamlets, where you can enjoy swimming pools and playgrounds. Parking is free of the vehicle, next to the chalet. 22/09/2015 | Review by Graziell P.
13/08/2015 | Review by Véronique M.
Very welcome and very good advice for tours or walks !!! The very nice and well functional cottage, nothing is missing !! Very quiet and well maintained place !! Surely we will return ! !